Looking down the Rib End Path on Kirk Fell towards Beck Head. Beckhead Tarn was dry after a prolonged heatwave. 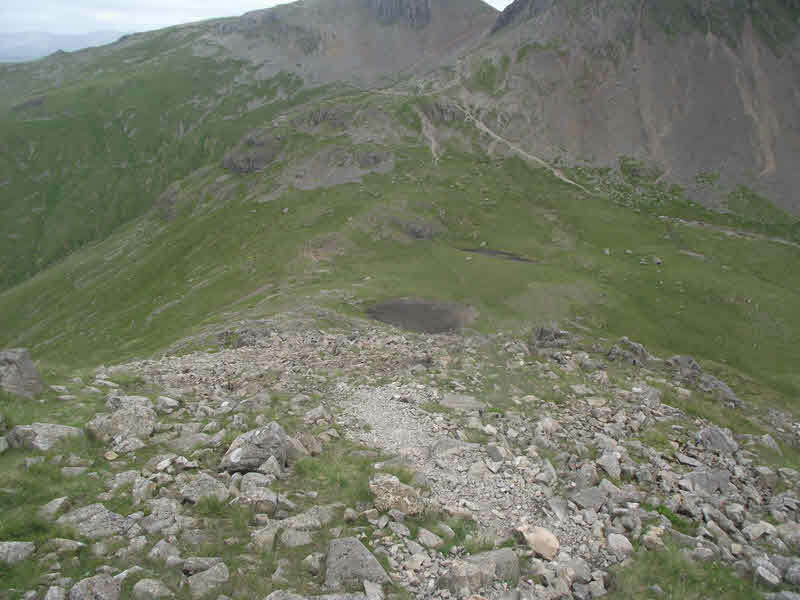 This shows the upper reaches of the path, which avoids all difficulties as it drops down to the pass.